25 weeks! The relatively peaceful week had me gorge on a couple of wonderful books and gave me much clarity on life as it is. The feeling of being a Mom is sinking in as the pie has began to seem more real than ever. All the free time and all the wonderfulness is just the calm on the surface I sense as a ton of changes are brewing on the insides. The gloriousness of Pranayam is a new learning for this week. Luncheon with friends was a great highlight of this week, simple pleasures! Maternity clothes? Still scouting for swimwear! Sleep: Pretty great considering all the swimming I have been doing and all the reading, weaning off technology before bedtime is a great plus too! Best moment this week: So the lil pie kicks me to wake up early mornings. Like 6 AM! early bird on the cards I say! Movement: On time every morning! What a punctual child!! Happy or Moody? Happy! Sad! Teary! Loving: Ola Shekhtman’s city skyline rings. Absolutely loved the St. Petersburg ones. Reading: Oh mind Relax please! 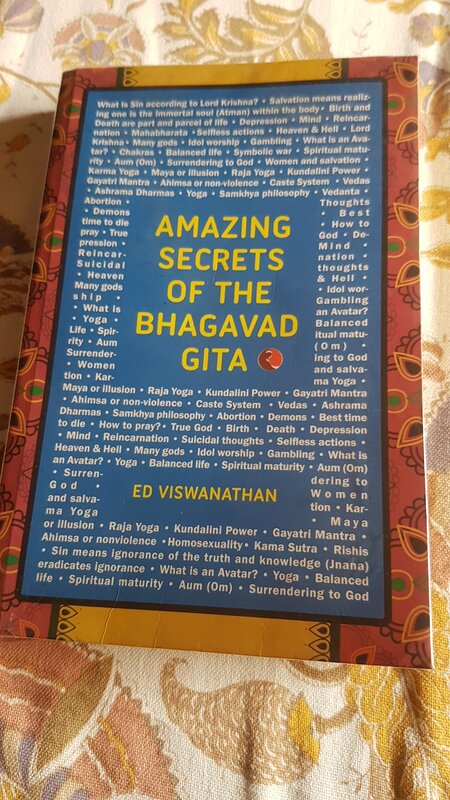 by Swami Sukhabodananda, Amazing Secrets of the Bhagavad Gita by Ed Viswanath, Hanuman Chalisa by Devdutt Pattanaik and now starting on War and Peace! Watched: A bunch of talks by Sadhguru. Witty and precise. Not much of a fan though..
Acne: Receding scars. Best thing ever. Drawing: Did a wonderful sketch of outer space. Dreaming of: Climbing up to Macchu Pichhu.